You are here: Virgin Islands News Online » News » Mapp & Potter may get their limousines after all! The bill sailed through the Committee on Finance on Monday March 21, 2016 at the Earl B. Ottley Legislative Hall with no opposition from committee members, and will soon face the full Senate. The measure changes the language that says “ceremonial vehicles”, and replaces it with “vehicles for the Government of the Virgin Islands”. It also removes language that says “Office of the Governor and Office of the Lieutenant Governor”, and replaces it with “Government of the Virgin Islands”. In the original request, Government House said the monies would be used to purchase three limousines: one on each island for the governor, and one for the lieutenant governor, although it was not clear on which island Mr Potter’s limousine would be stationed. “After inquisition by legal counsel and speaking to Government House, and speaking also with the P.F.A. (Public Finance Authority), I’m offering an amendment that is going to establish a revolving credit facility that will take care of all of our emergency vehicles, and the credit facility will not exceed an initial term of 5 years with a renewal period of three years, and will raise the amount from $8 million to $10 million,” Mr Vialet said. 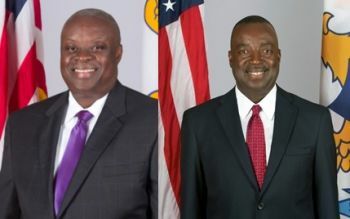 The measure essential gives the Mapp administration and Public Finance Authority a $10 million line of credit to buy vehicles for the first responder and law enforcement agencies. It also includes funds for road-paving equipment to be utilised by the Department of Public Works, and for 50 additional employees at said department to maintain the territory’s roads, which will be bolstered by federal funding. The $10 million will also include funds for new video surveillance equipment at the Bureau of Corrections, as well as new equipment for the Virgin Islands Fire Service. 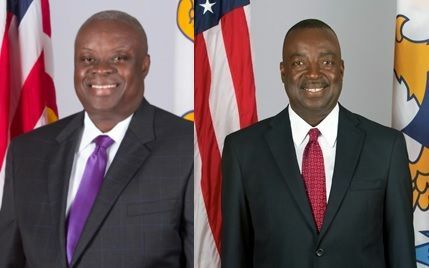 In making his case for the new limousines, Governor Mapp said in August 2015 that the current fleet had aged, and maintenance cost had gone up significantly. But later that same August month, Senate President Neville James said the government was not in a position to expend $350,000 for vehicles for the executive branch. “I deeply appreciate that you have addressed the critical shortages of vehicles for the essential emergency sectors of our government. It is crucial that we provide the management and staff of these agencies all the support they need so they can do their jobs to the best of their ability and keep the community safe. However, in regards to the $350,000 which would be appropriated for the purchase of ceremonial/official vehicles, I would kindly ask that you consider removing this particular request until the Legislature can responsibly appropriate the funds to support this measure,” Mr James said. All members of the Finance Committee voted in the affirmative for the amendment, bar Senators Tregenza Roach and Sammuel Sanes, who were absent. And why are we hearing this? Sorry but we don't need to know this, as BVI taxpayers dollars should be used wisely. Well since Obama visiting everyone especially the Spanish speaking countries and not us nothing wrong in us spreeing for the time and getting our limos. We have to do the tango here in the USVI too. All road leads to the USVI map with the use of the Potter's clay so at least we need to have a feast day with taxpayer's pay.Wave you hand a wait for me.